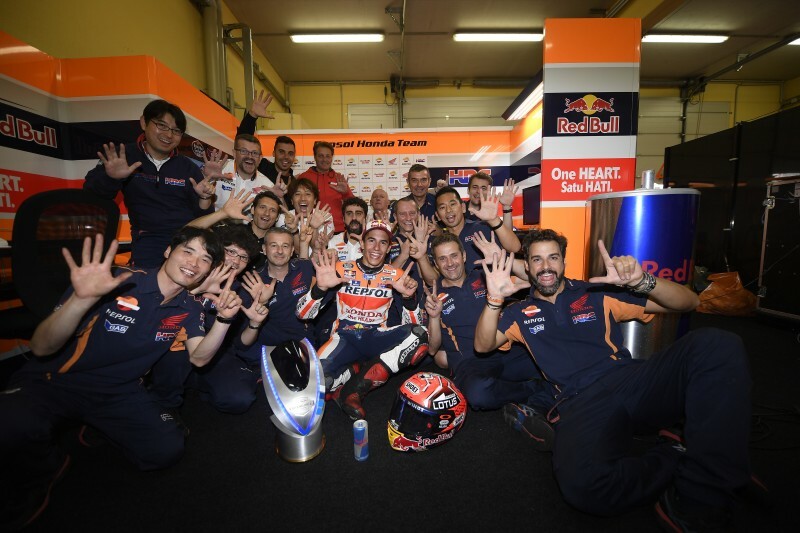 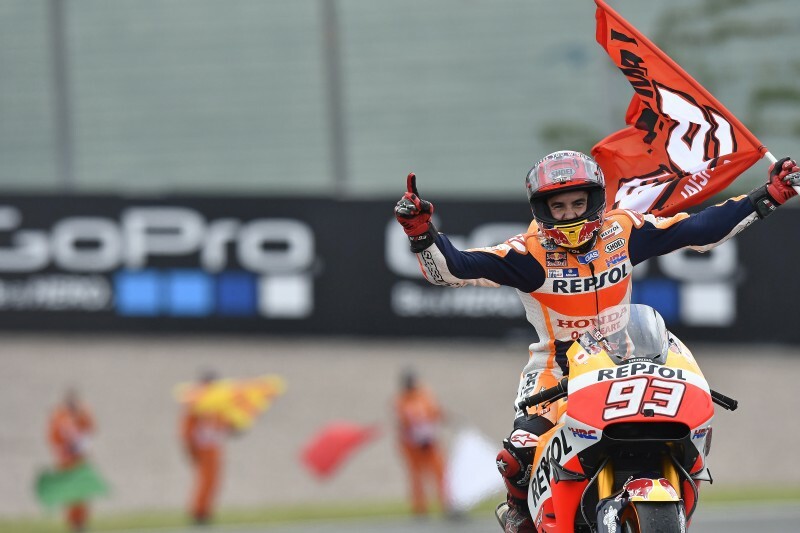 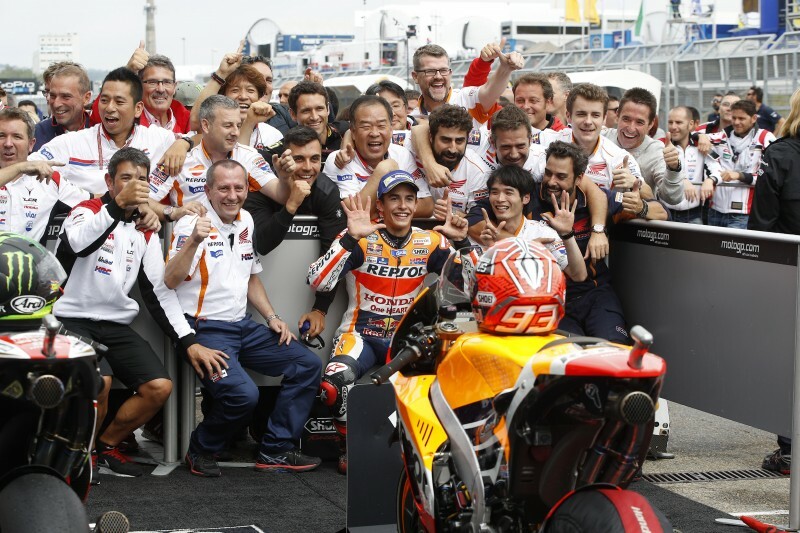 A mix of pure talent, tactics, teamwork and a cool head earned Marc Marquez and the Repsol Honda Team one of the best wins in one of the most difficult, mixed-conditions races so far this season. 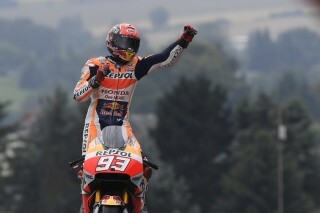 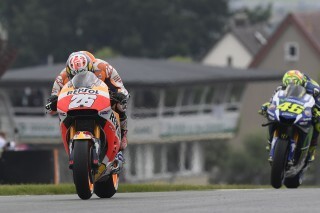 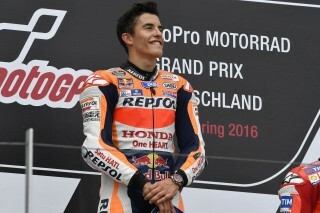 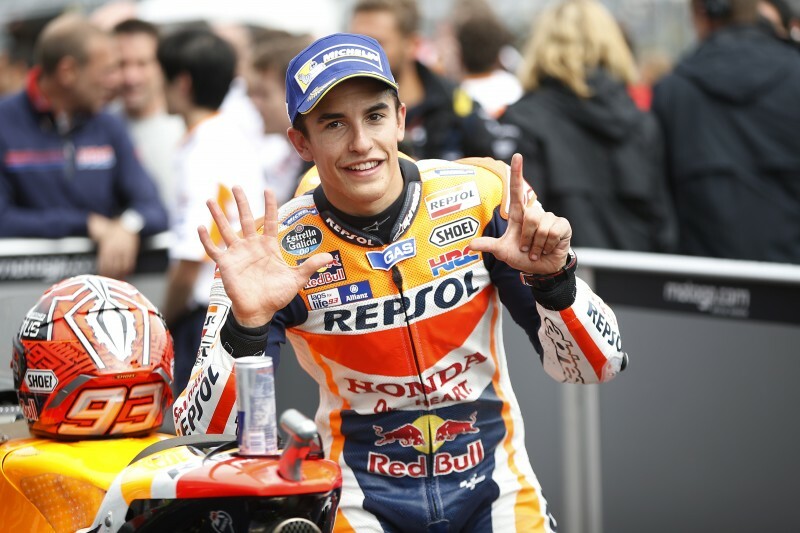 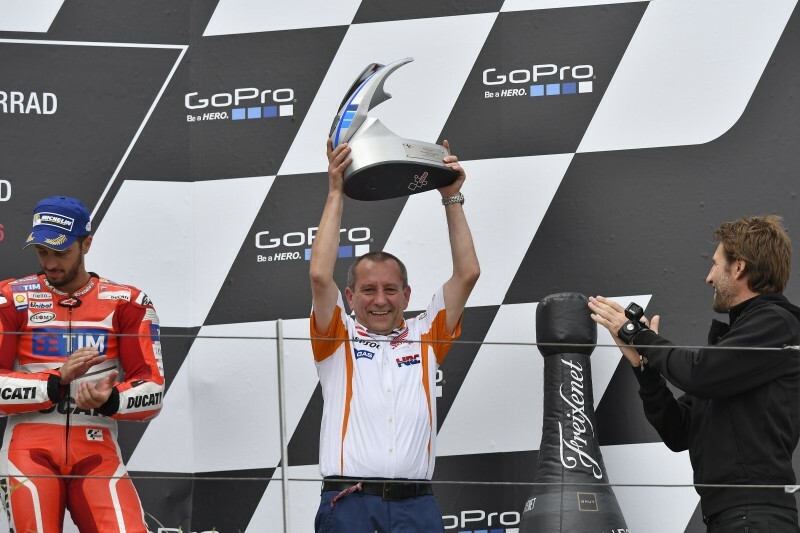 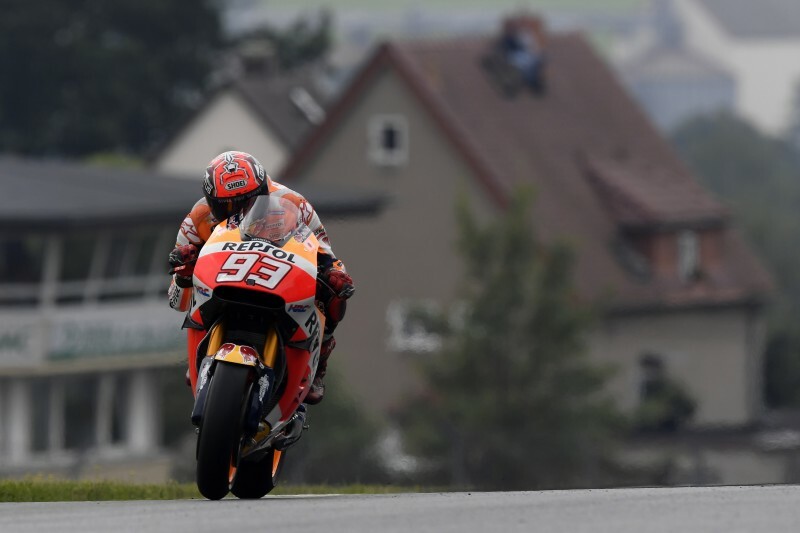 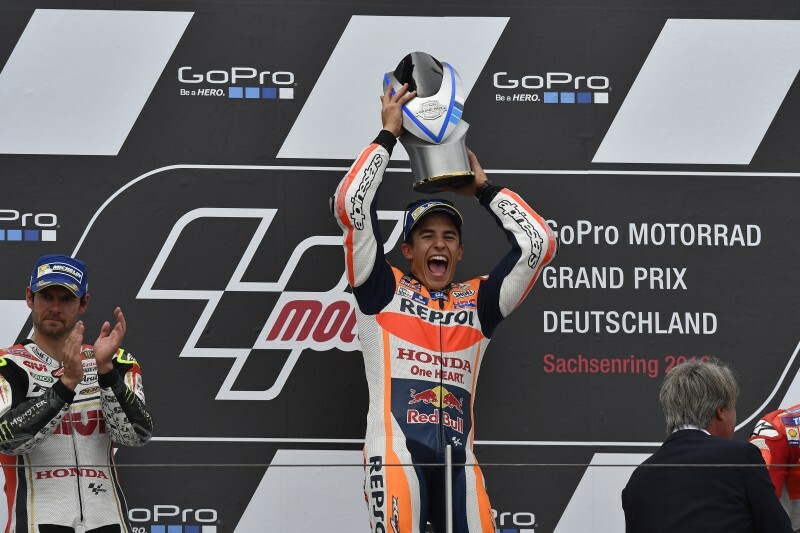 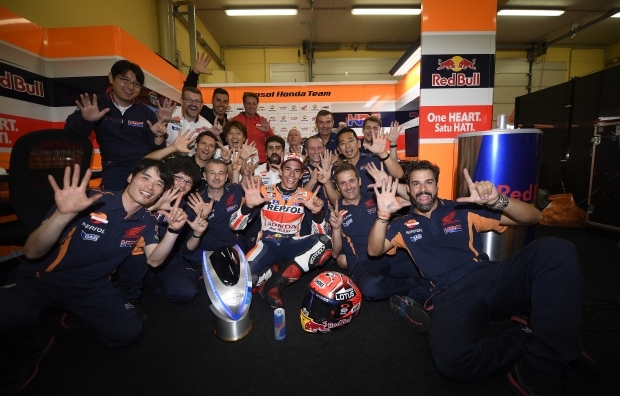 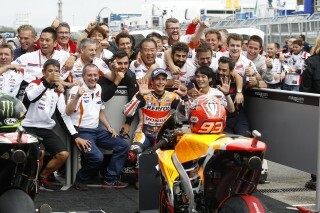 Marc has therefore maintained his perfect record at the Sachsenring, winning the German GP from pole for the fourth year in a row in the premier class, the seventh across all classes, only leaving fellow Honda RC213V rider Cal Crutchlow the satisfaction of setting the fastest lap on his way to the second step of the podium. 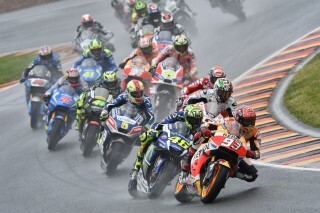 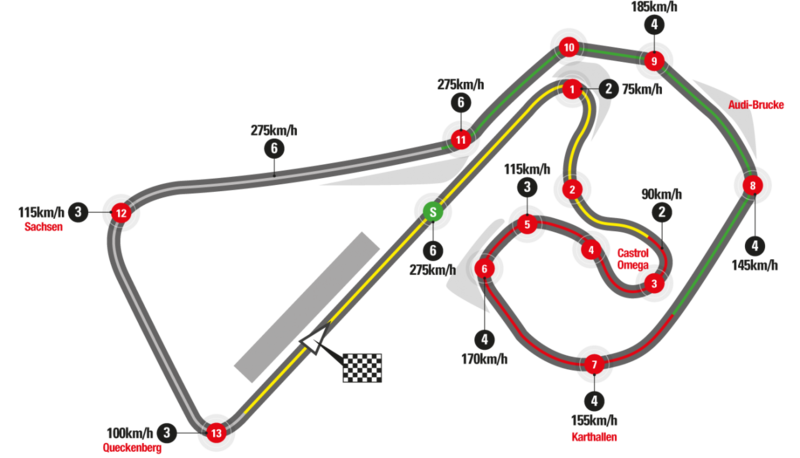 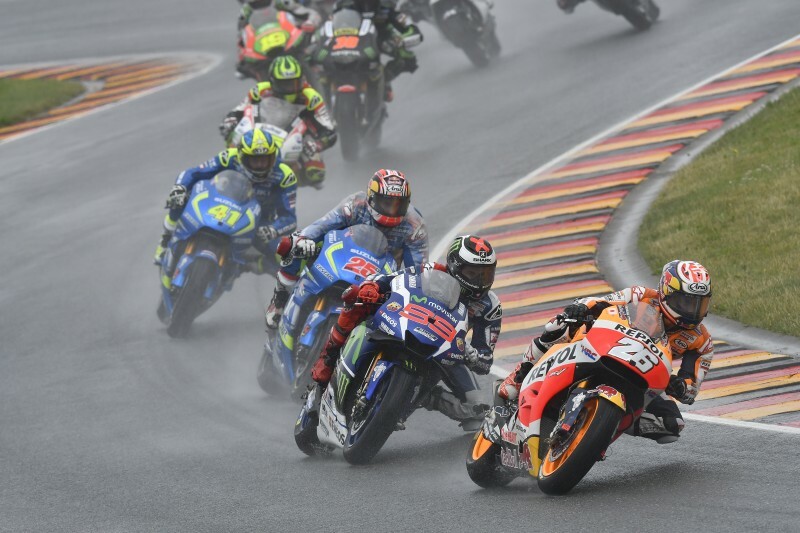 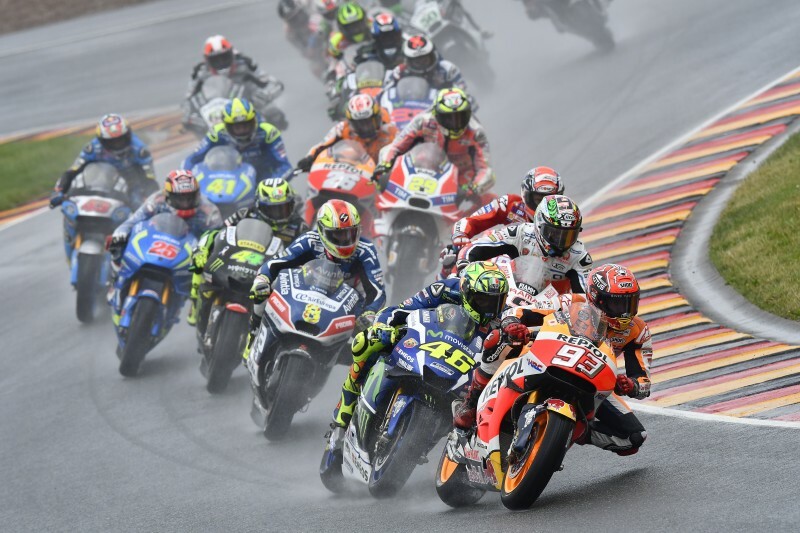 With heavy rain intermittently hitting the Sachsenring into the afternoon, the MotoGP race was declared wet and teams prepared for the high probability of another flag-to-flag GP. 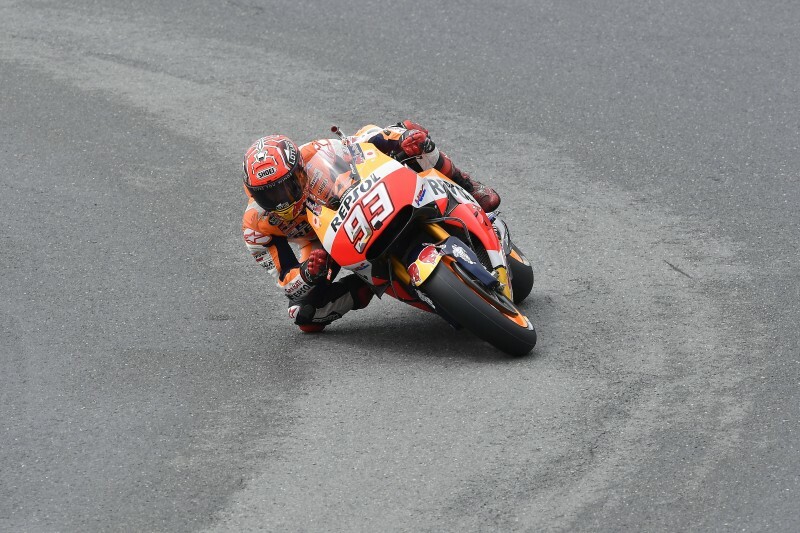 The choice of a front Michelin rain super soft, the same tyre chosen by almost the entire grid, didn’t prove to be the best one for Marc, who progressively lost ground from the front in the first phase of the race, dropping back to ninth position after an excursion in the gravel in turn 8. 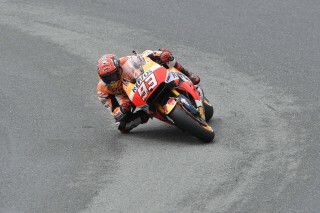 But the track was drying, and Marc had planned a strategy with the team for such a case: switching to slick tyres as soon as conditions were safe enough to allow it. 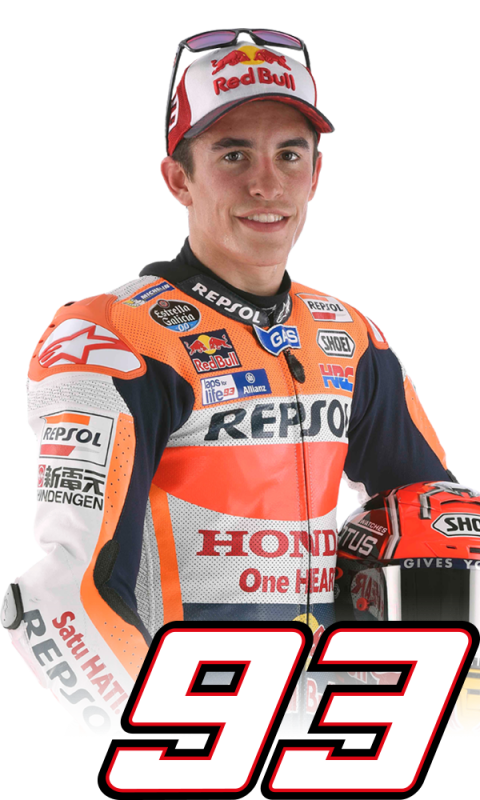 And so he did, entering the pit and changing bikes on lap 18. He was careful in the first few laps after that but quickly began recovering ground and positions from 14th place. The Spaniard was already sixth and chasing the front riders when they pitted to swap bikes. 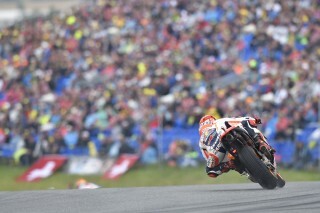 It was on lap 24 that Marc, second at that point, quickly overtook Jack Miller and assumed the lead in the race, finally crossing the line with almost a 10 second advantage on runner-up Crutchlow. 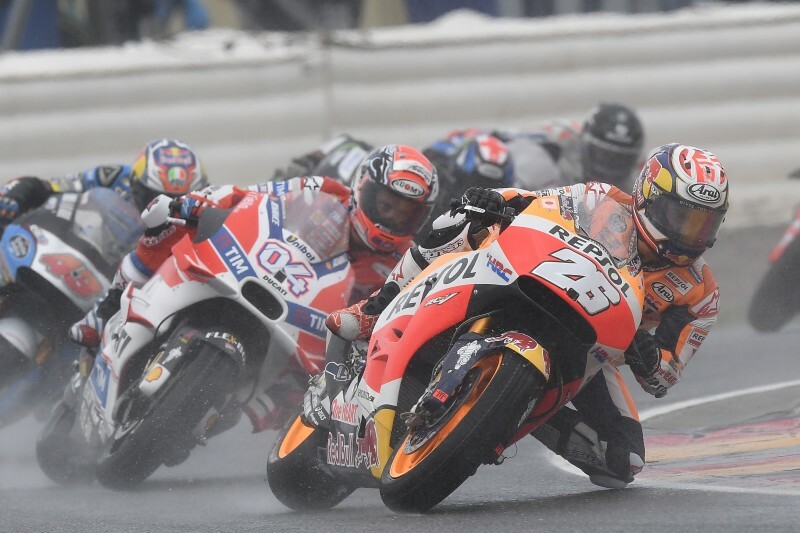 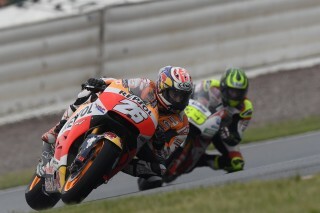 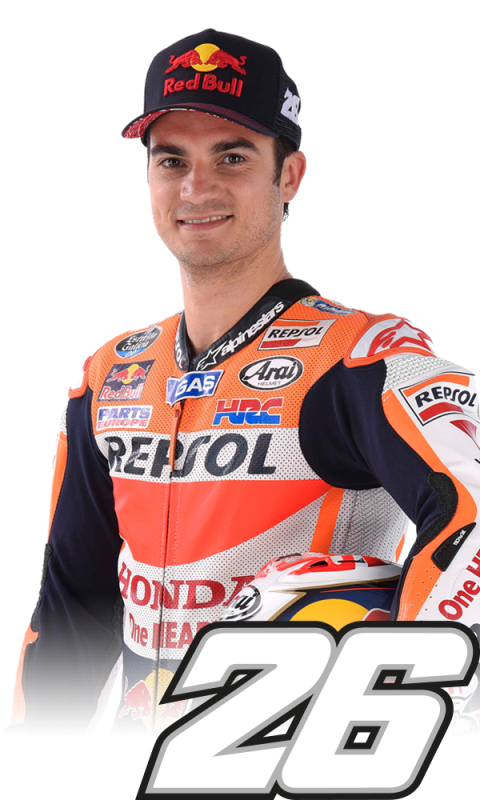 Dani Pedrosa was able to maintain a fast pace in the first and wetter part of the race, recovering ground from tenth on the grid to sixth before changing bikes on lap 22. He re-entered the race in ninth and overtook Hector Barbera, Miller and Valentino Rossi to score a solid sixth-place result. With today’s win, Marc extends his leadership in the Championship to 48 points over Jorge Lorenzo and 59 over Rossi; Dani, fourth in the standings, reduces his gap to Rossi to 15 points.